I was able to enjoy this wonderful 9 hole course with my father earlier this year. Was fortunate enough to meet Rob Collins the architect and could tell the love and sweat that went into the course. Patrick was also a great host and no doubt success will only continue for that group. The painting is a 20×30 inch oil on canvas. Done with Geneva paints. 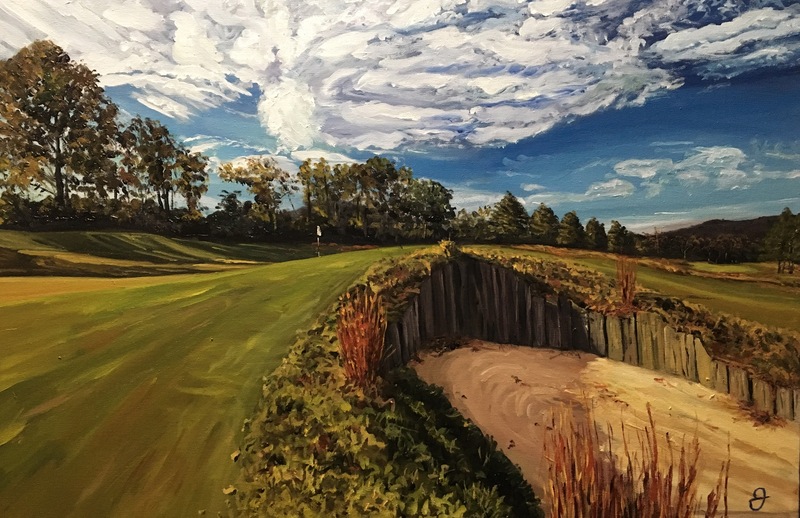 Posted in Art, Golf, Landscape, Oil paintingTagged golf, golfart, golflandscape, oiloncanvas, oilpaintingBookmark the permalink.